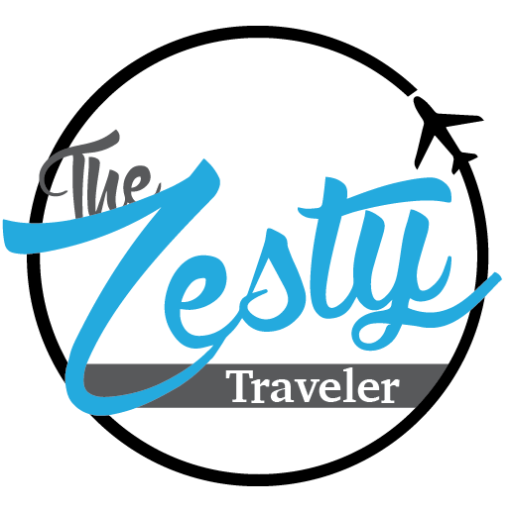 So, Mommy Zesty turned 60 this year! 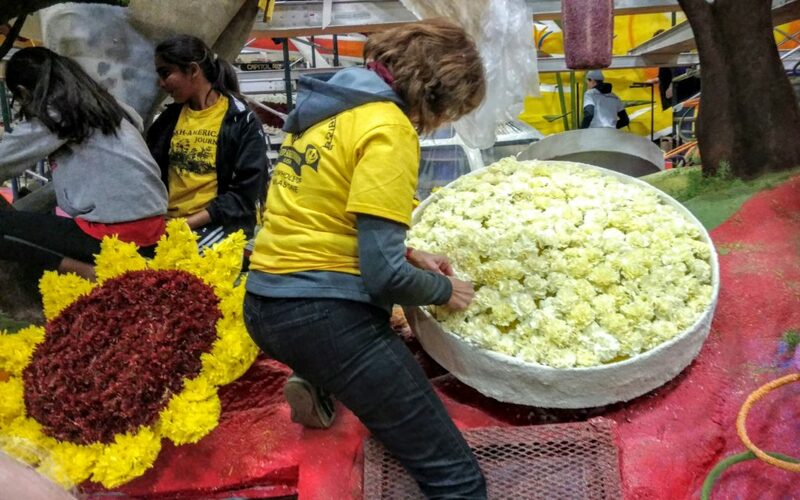 One thing that always sticks in my mind about my Mom is that she loves the Rose Parade. It is the one thing she makes sure she sits down to watch every year, and she isn’t big on TV. You have to understand that my Mom is one of the most selfless people I know. She rarely, if ever, asks for anything, and always puts everyone’s needs and wants before her own. Therefore, when she mentions there is something she would like to do, I do my best to listen. 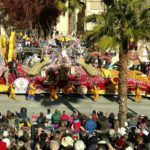 As long as I can remember, my Mom talked about wanting to one day see the Rose Parade in person and help to decorate a float. About two years before her 60th, the nugget of an idea started to form in my head to make her wish come true. Lots and lots and lots of planning, budgeting, and reservations later, we were off to LA to celebrate my Moms 60th birthday a little early (her bday is in February). 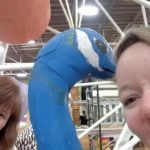 Day 1 was float decorating! The timing was extra perfect since my family loves our National Parks and the parade theme was honoring the National Park Service Centennial. Find Your Adventure. 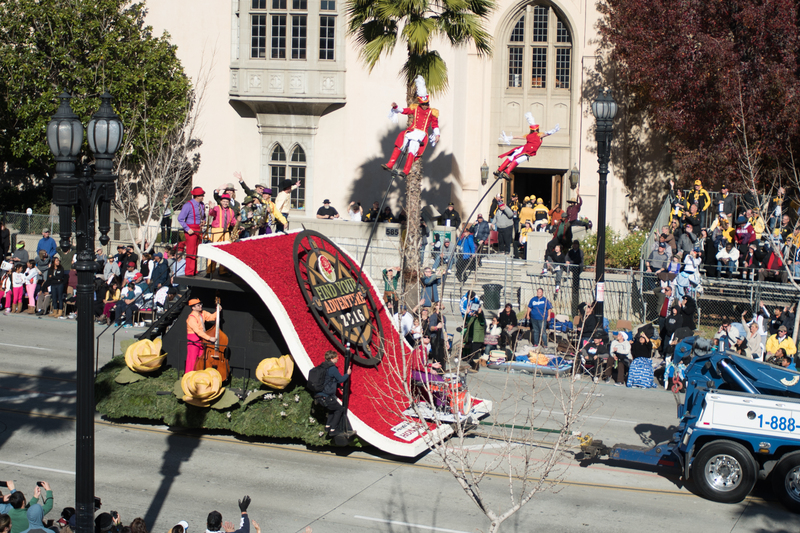 It turns out that it is relatively easy to get onto a float to decorate. There are a couple of groups who open up to volunteers. 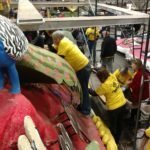 If you don’t already have an in with someone decorating a specific float, you can volunteer with one of these groups by signing up online. They do fill up fast and you have to keep checking their website to sign up. 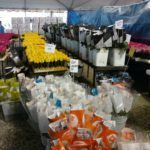 We went through Petal Pushers for our float volunteering, and I recommend you check them out if you are interested. We had no idea what we were walking into! 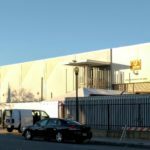 The warehouse is HUGE and housed about 10 or so of the floats for the parade. There are jobs available for everyone’s ability. If you are confined to a wheel chair or cant stand for extended periods, there are jobs for you! If you are a daredevil and like to climb scaffolding, there are jobs for you! And everyone in between. 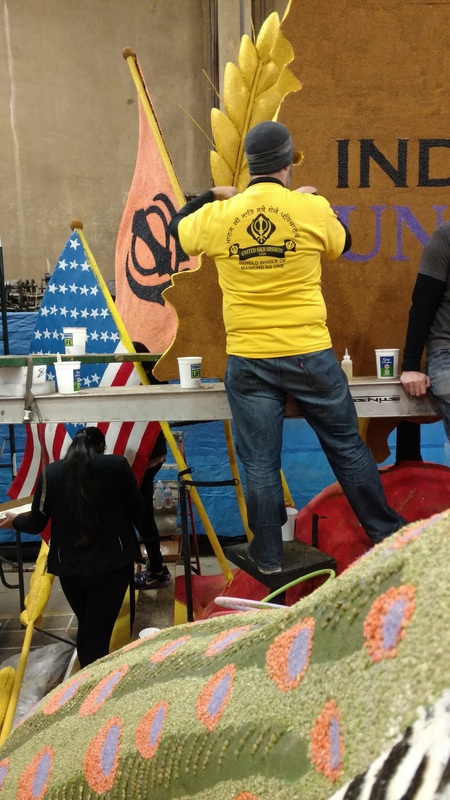 We were assigned to work on the Sikhs float. Not only was it a stunning float, but as an added bonus, the family sponsoring the float fed everyone delicious Indian food for lunch. It was sooo good! 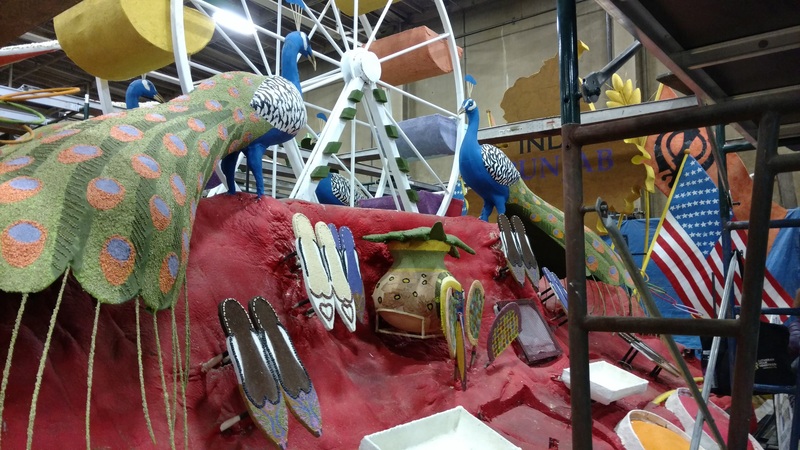 The level of detail that goes into each float is mind boggling. 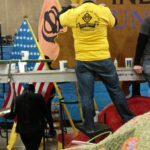 I had no idea and have an immense amount of newfound respect for anyone who has ever had any part in creating a Rose Parade float. 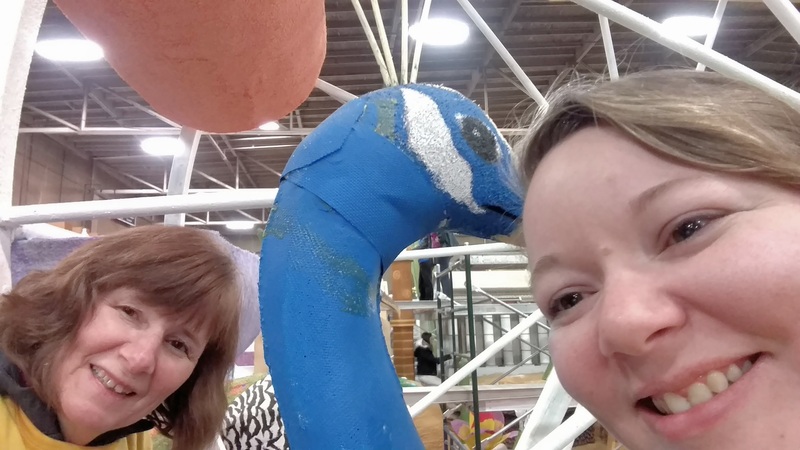 My Mom and I were assigned to cut out random shapes from nori paper (seaweed, like what you use in a sushi roll) and glue them onto peacock wings. 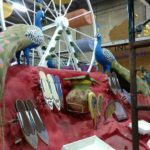 There were four peacocks on the float, and two wings per bird. Two birds were already finished, we just had to do the other two. It took us the almost entire 8 hour shift! 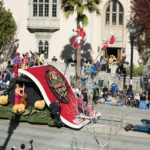 You have to be a contortionist to get to some parts of the float! 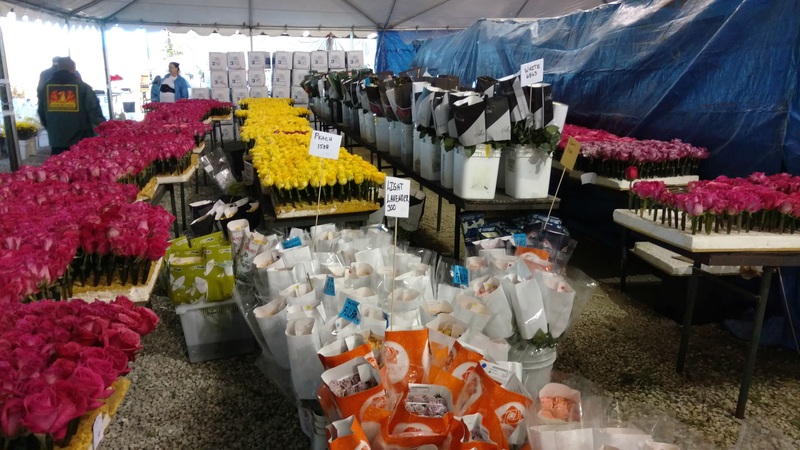 It was completely worth every muscle pinch and strain, lol, to see how happy my Mom was and to see the fruits of our labor progress throughout the day. I can’t put into words how amazing the experience was. I hope to do it again at least once more in my lifetime. 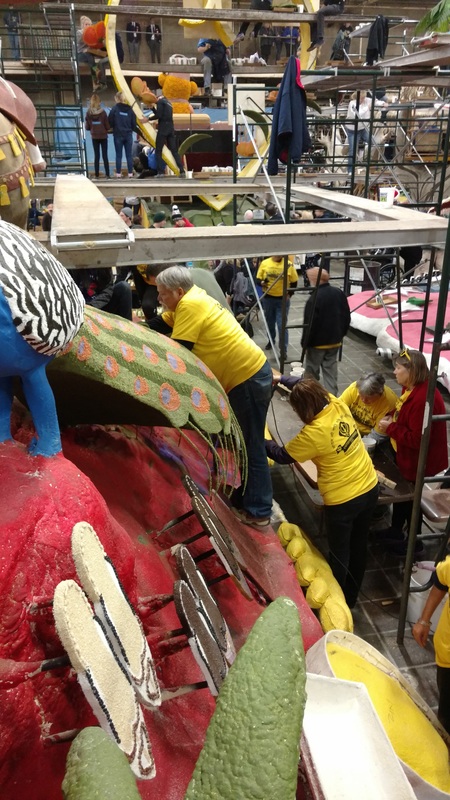 If you would like to learn more about a day in the life of a Rose Parade float decorating volunteer, send me a note! I am happy to elaborate and provide more detail.